Made from natural reclaimed paper fibers, we've designed our bedding to absorb three times more liquid than wood shavings - ensuring small pets stay warm and dry all day long. 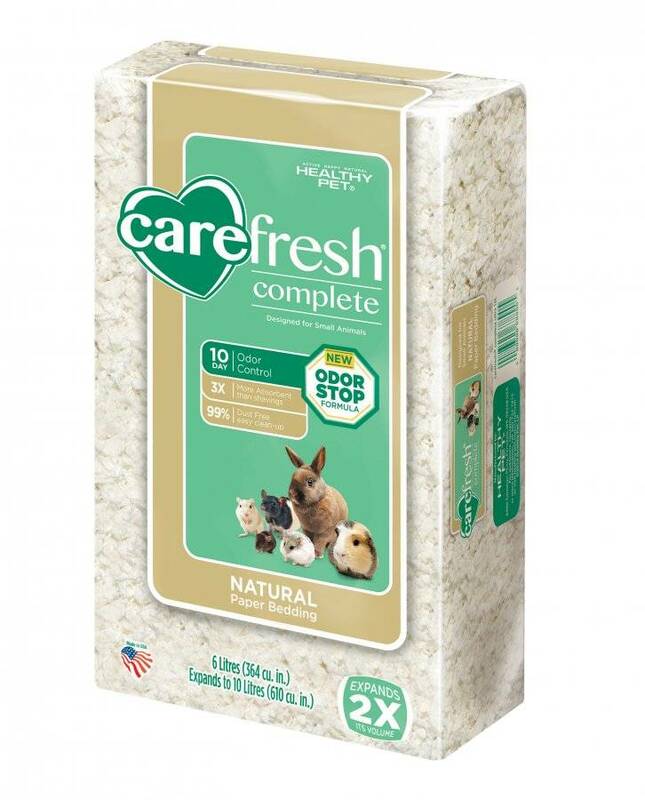 carefresh® complete natural paper bedding is designed especially for small animals and made from 100% sustainable and renewable paper fibers, never any post-consumer waste paper just shredded and put into a bag. All of our bedding products are also 100% biodegradable and compostable, so you get superior performance along with a product that's good for your pet and good for the planet.